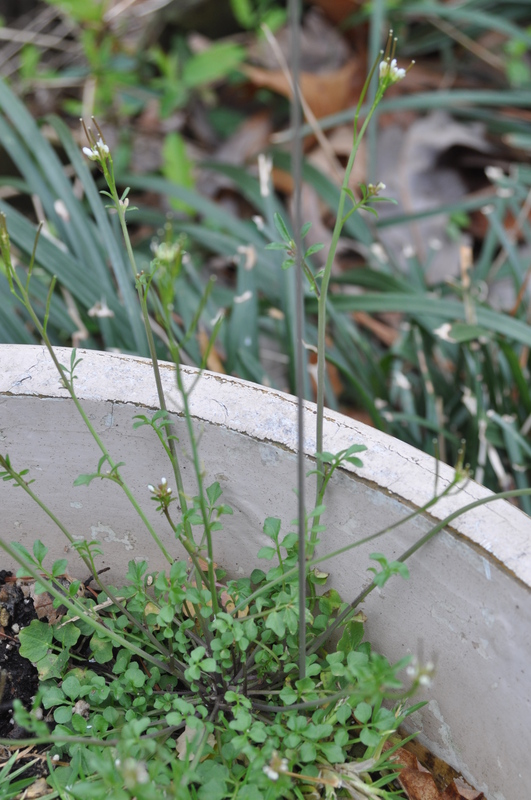 Winter annual and biennial weeds – plants that germinated in fall and were dormant through winter’s cold weather – are in bloom now. These weeds will die off as temperatures warm up, but not before producing the seeds that will become next year’s crop. Ridding my garden of these pesky weeds is at the top of my to-do list right now. If you have a small amount of weeds or an afternoon free from other obligations, pulling or digging the plants is an environmentally friendly and cost effective way to control them. Our soil is moist right now, which makes it easier to pull the roots out of Durham’s clay. In landscape beds, covering the soil with a layer of mulch keeps light from reaching weed seeds, which greatly reduces germination of new weeds. In lawns, weeds can be reduced by following recommendations that promote thick and healthy lawns and mowing at the recommended height. If you have a large number of winter annuals in your lawn, you may wish to consider applying a pre-emergent herbicide in the early fall. Spot treating with an herbicide before weeds set seed will also reduce spread. Hairy bittercress forms a rosette of small leaves. White flowers bloom on long stems and its seeds develop in long, thin capsules. Beware when pulling this weed – the seeds will burst explosively from the capsules when mature. I’ve had more than one hit me in the eye. Pull soon or “you’ll shoot your eye out”. 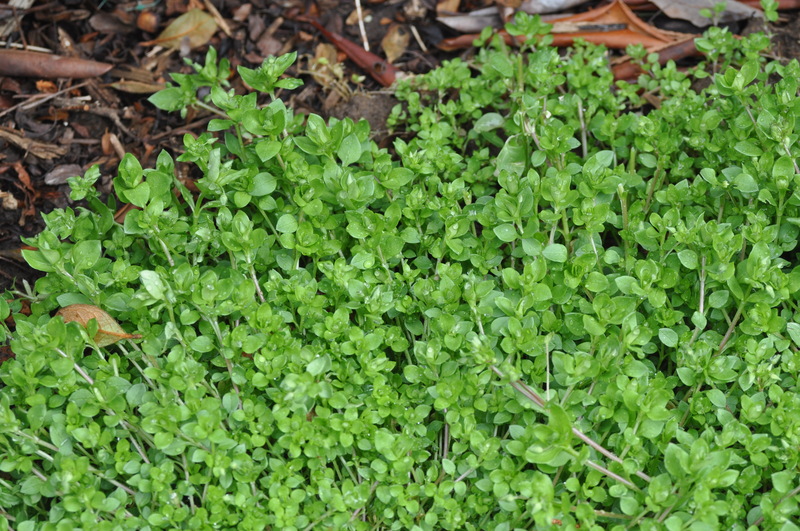 Chickweed can spread rapidly to form a thick mat. Roots are shallow, so it is fairly easy to pull by hand. Flowers are small, white, and have five deeply notched petals – notches are deep enough that flowers may appear to have 10 petals rather than 5. 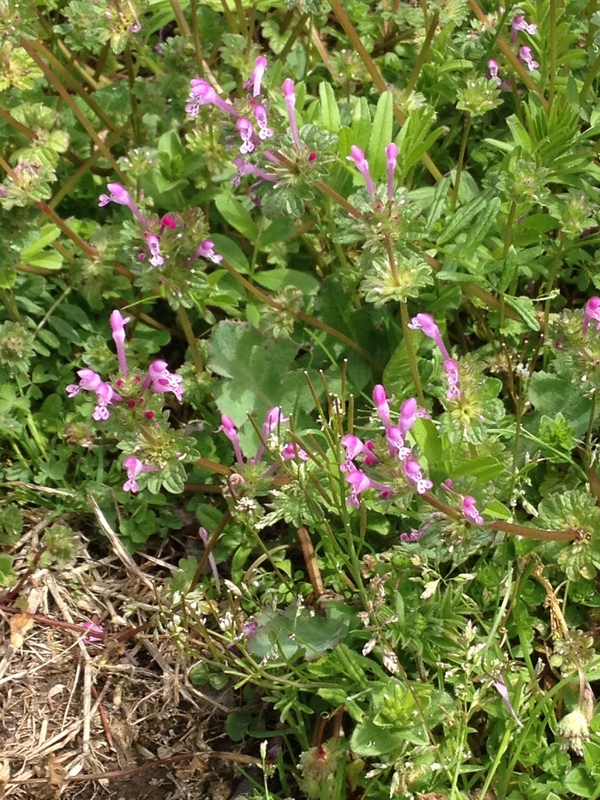 Like its relatives the mints, henbit has square stems. These stems will root where they touch the ground. Leaves are rounded, and the reddish purple flowers are attractive to bees. It can be difficult to control once established.